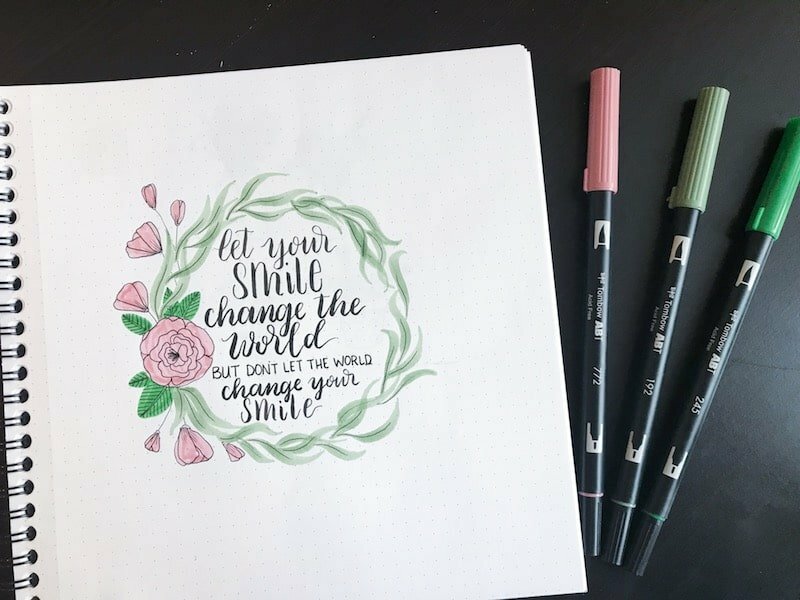 Tombow Dual Brush Pens are wonderful tools for lettering. But did you know they can create stunning drawings? Follow along with these 7 Steps to create an easy floral wreath. 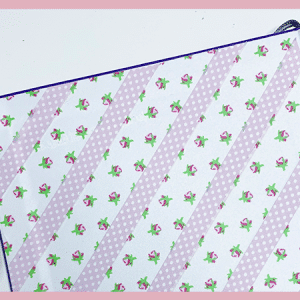 Use it for bullet journaling, bible journaling, or card making. Most of us buy or bought our Tombow Dual Brush Pens to become incredible lettering artists and make millions off of freelance artwork. Am I right? Okay, maybe cross out the making millions part. But, the most well-known purpose of the Tombow Dual Brush Pens is for modern calligraphy and lettering. 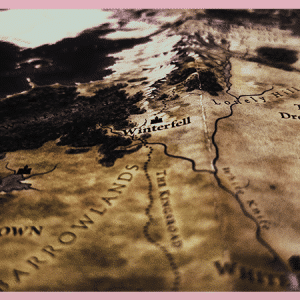 Today, I’m going to blow your mind… maybe. 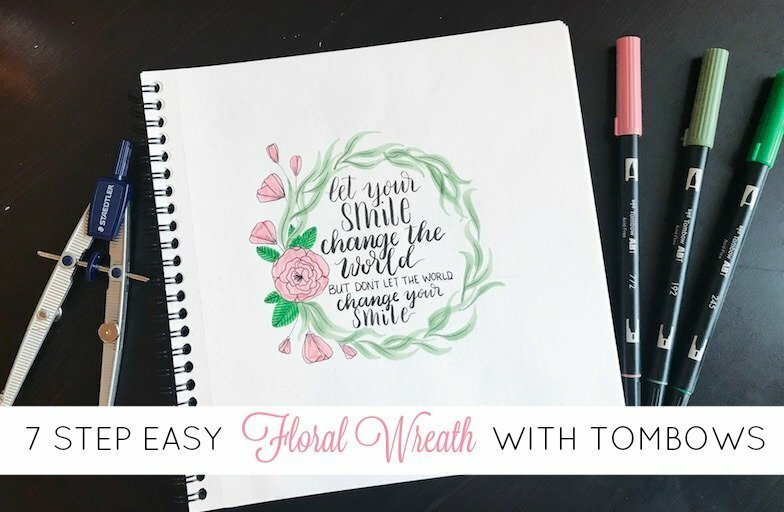 I’m going to show you how to use your Tombow Dual Brush Pens to create an easy floral wreath that takes under 15-minutes! 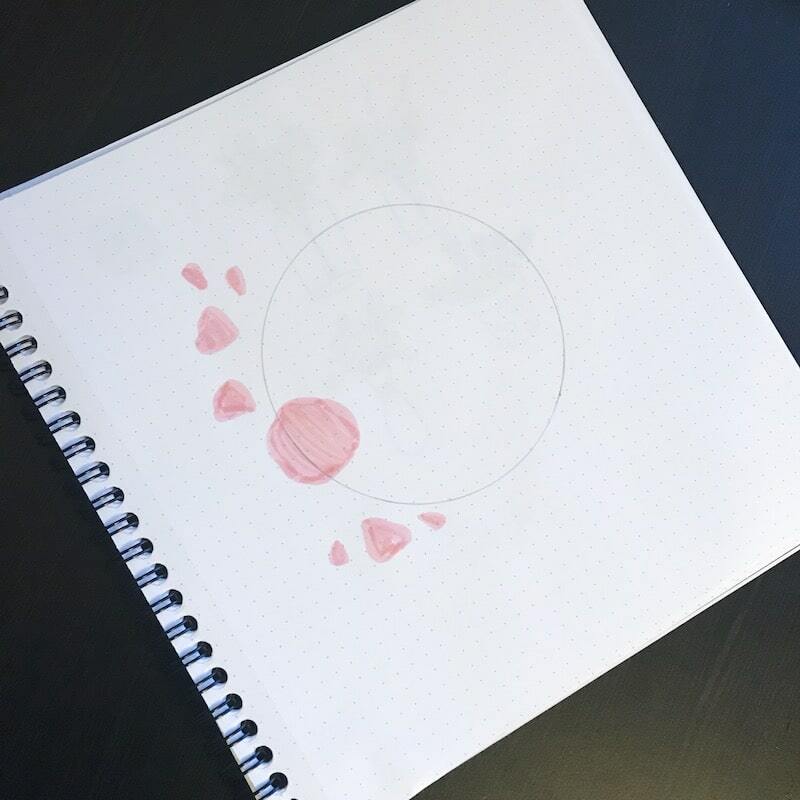 Use your compass to draw out a 3.5-4″ circle on your paper in pencil. 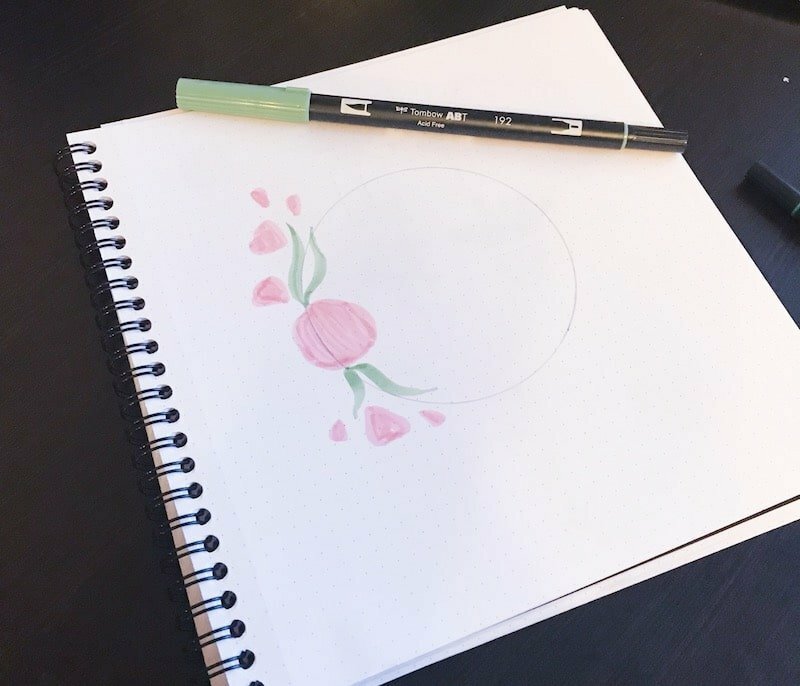 Next, use your blush colored Tombow (772) to create a large circular blob on one side of the wreath. Then add some soft triangles and teardrop shapes above and below the circle you just drew. These are where your blooms will be. The circle will be a full bloom and the triangles will become buds and upward facing florals. Now, use your lighter green color (192) to add some long leaves coming from the main flower. To do this, start with very light pressure to create a thin line and then as your draw your leaf push harder to create a thick section. Then at the end of your leaf, lift your pressure to come back to a thin point. Go in with your darker green Tombow (245) and add some shorter, wider leaf shapes coming from the main bloom. Pick up your light green again and start making those long leaf shapes around the circle you drew with your compass. Overlap and underlap them as you go. 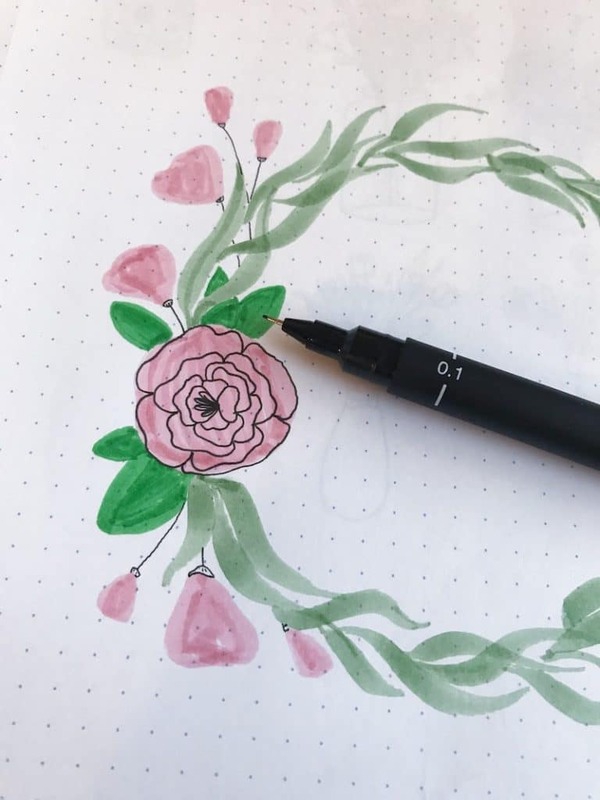 Pick up your fineline pen and start filling in the details of your blooms and adding in the stems for your budding flowers. 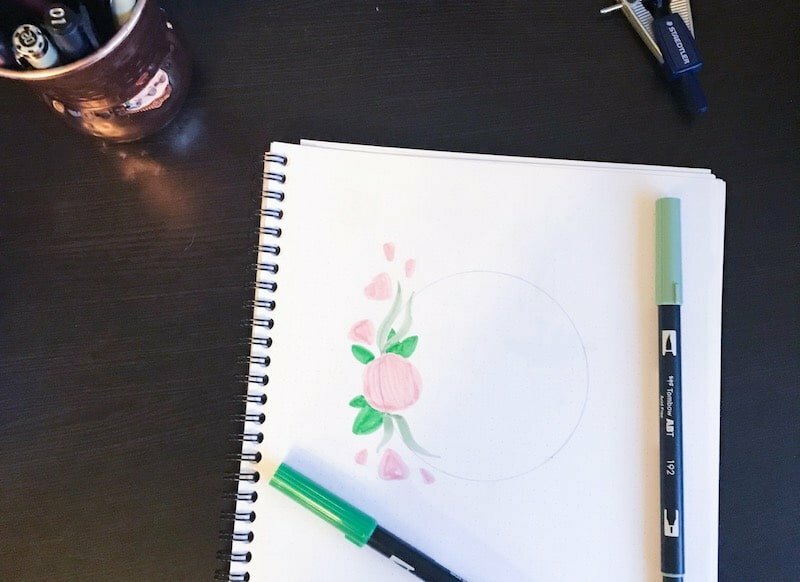 If you want to take your floral drawings to the next level and learn how to draw the flowers in this wreath, you can enroll in my e-course, Petite Floral Doodles. It has over 3 hours of video tutorials, including petal and leaf shapes, individual florals, wreaths, laurels, and floral arrangements. Finally, add a single fine line with your pen coming from the starting point of each leaf and drawing it about half-way up the leaf. Then, erase your pencil marks and you’re done. 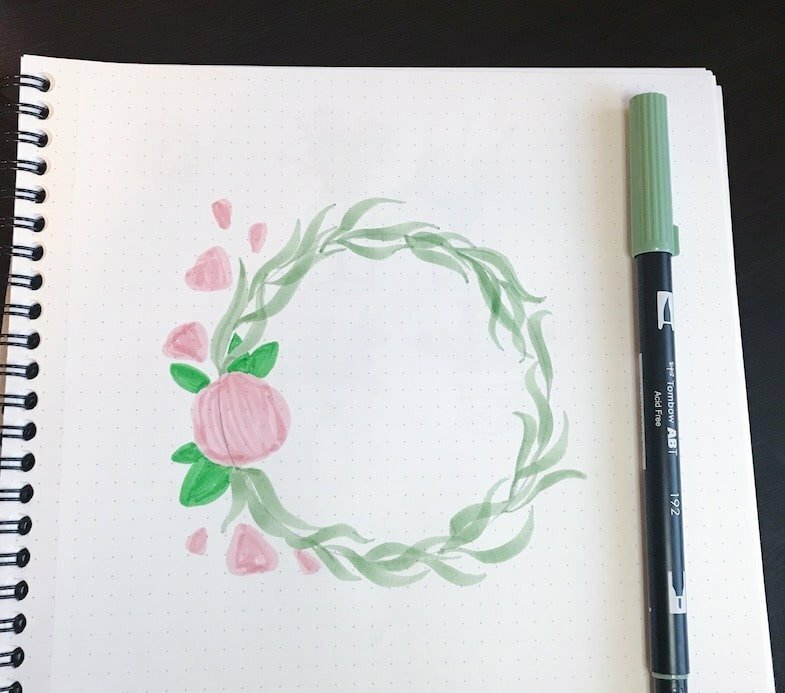 What are you going to use this easy floral wreath drawing for? 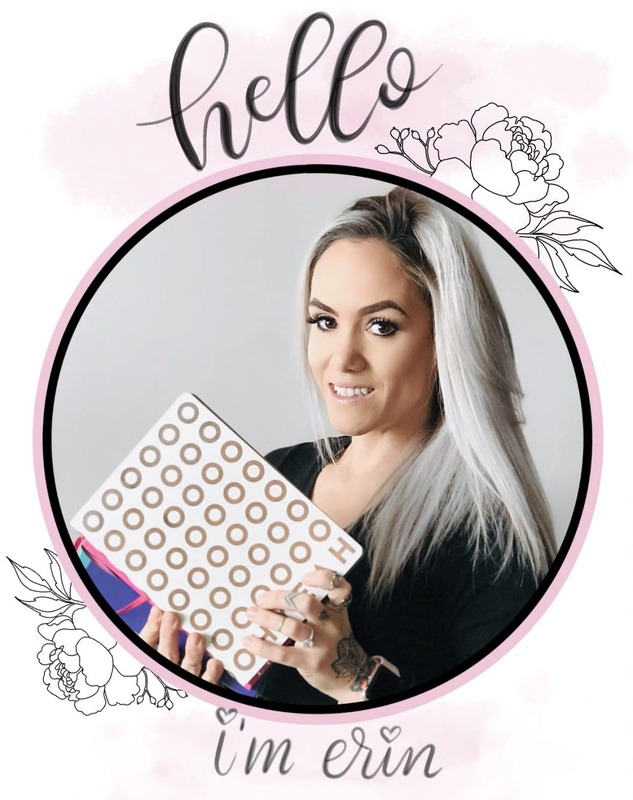 Share it with me on Instagram by tagging me, @the.petite.planner and using the hashtag #thepetiteplanner. I try to like and comment on everything I am tagged in! 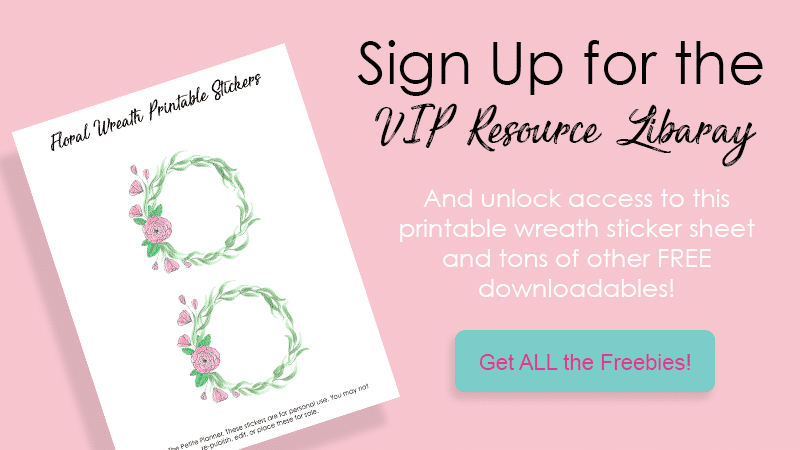 Want to snag a free printable of this wreath without the lettering? 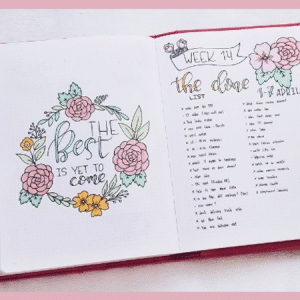 You can use it in your journal for quotes, headers, mini-monthly calendars, etc. Head over and sign up for my Free VIP Resource Libabry and you’ll get the password as soon as you signup!